Anyone who really knows me knows I am so OCD and everything must be organized. Over my years of web surfing I found this really neat Yahoo Group called Christmas Notebook we start organizing and planning our holidays August 1st. I can not believe it is already that time again. I am so excited about this holiday season with the kids but to make things happen with four kids it has to be planned out and organized. My notebook includes three birthdays (Noah, Adam & Taylor), Halloween, Thanksgiving and Christmas planning. In my mission to teach my children to be responsible with there stuff I have accumulated a good many “unloved” toys and usually over time I end up just giving them all back. Our most recent “unloved” toy has been the favorite toys..the DS and DS games. I find DS games just laying on the floor all the time. I also find DS laying on the floor all the time just waiting for someone to step on them. I have repeatedly told them do not leave your DS and DS games laying in the floor. Between yesterday and today I have collected three DS games and two DS that have been just left laying in the floor. 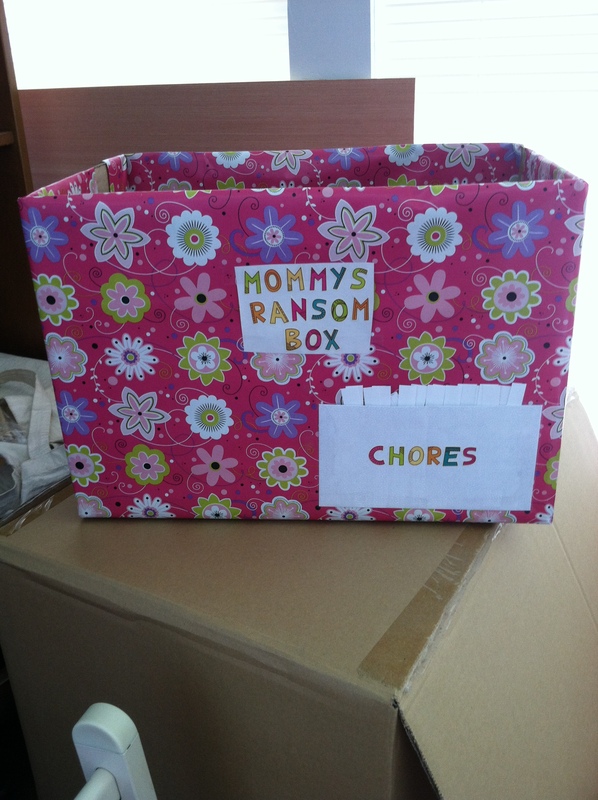 I have recently seen a “Mommy’s Ransome Box” on Pinterest and I must say I LOVE this idea. So I decided to make my own “Mommy’s Ransome Box”. Our rules for the ransome box is to get your toy(s) back you must wait 3 days then you may do a chore for each toy. The chores are on little slips of paper in the envelope attached to the front of the box and the child must do the chore they draw or the toy is gone forever. I chores they have are really all things they already do. Then I make two that say “Mommy’s Choice” and two that say “Adam’s Choice”. If they draw one of those we get to decide what they must do and it may not be one of the chores on the other slips of paper but something they can do. Hopefully this will help with teaching them some responsiblity of their own belongings. When I am up at 2 am feeding Bradley I have to do something to keep myself awake. Most of the time I look at stuff on pinterest and pin lots of stuff. Recently I made the decision to take over half of the kids 300 square foot play room with my craft stuff. Over the last few weeks I have noticed they never play in there so I decided to do away with the play room all together. I am going to have a craft/homework room instead. This meant moving toys to their bedrooms & getting rid of some toys. This makes the second big clean out of toys (that they never play with) since Bradley has been born. In the process of this decision I got side tracked and decided to redecorate the girls’ room and when I say in the process I literally mean in the same hour. The decision to redecorate the girls’ room resulted in lots of projects over this past weekend. The girls’ room is going to be hot pink, lime green and bright orange. So far I have made each of them a standing jewelry box which you can find pictures of on my page Sheena Creates. I also made a hair now holder and redid the girls’ lamps. My sweet husband painted one wall hot pink (another will be bright orange, another will be lime green and the last one white) and he made them a bookcase to fit between their dressers to hold books, their DVD player, playstation and TV. I can not wait till we are done with it. I have started a glasses holder but in the mist of moving all my stuff I have not finished it. 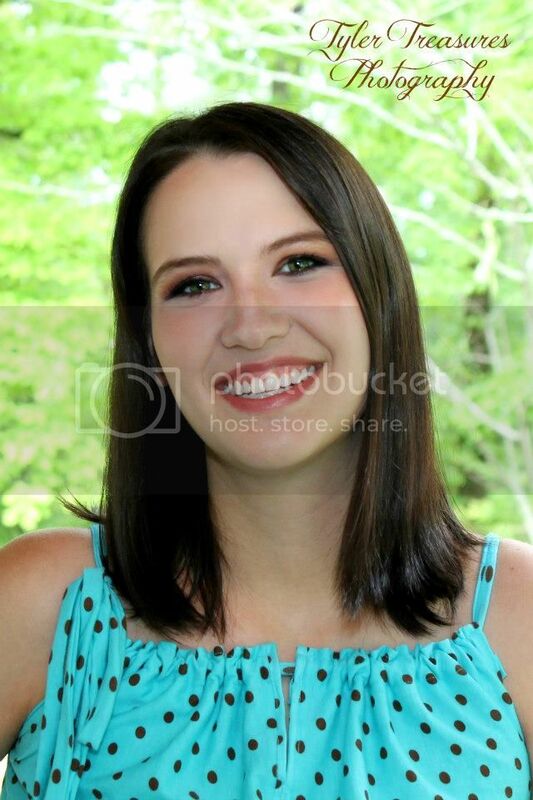 My girls (mainly Alyssa) has a lot of treasures. This morning her and I went through all of them and got everything organized. I was surprised it went as smoothly as it did. I am planning on making both of them a rag quilt with matching throw pillows. I saw this really cute chandelier on pinterest and thanks to Adam we are going to make it. So excited!!! I have these cute floating glass picture frames to replace the picture frames on their dressers. I found these cute flowers to make to hang on their walls. Back to the sunroom that is now my craft/homework room. One side is homework and on that side I am going to make a reading nook/fort. Adam is going to make me some cute shelves (also found on pinterest) so each kid can have some books in their when it’s their reading time. I have pretty much decided I am going to keep my originally color scheme of red, green, blue and yellow. I have a cute little table and chairs and a toy bin that are those colors and I have the picture frames Adam previously painted for me in those colors. I am going to paint the homework desk those colors and the chest of drawers that I am using to store craft stuff in those colors. The TV in my room that we never watch is going in their too. I’ll have ways to entertain Bradley while I work on stuff as he gets older. 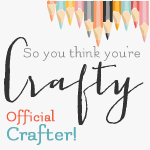 Now I am pinning stuff on pinterest for organizing my craft room. I am sure I will end up finding lots of new ideas to add to that room. Lately I have been couponing and watching for good deals. I follow this page called Krazy Coupon Lady who puts all the deals together with which coupons you need. This morning I went to Target & CVS. I got two bottles of peroxide, two bottles of vinegar, one bottle of hand soap, cotton balls, two bottles of head & shoulders shampoo, razor with refills, baby body wash, listerine & Draculaura (Alyssa has asked for her and she was on clearance so she will be put up for Christmas) for $30.31. I also have $4 in extra care bucks that I will use with my next trip.